New York was a city bursting at the seams in 1911. The metropolis was denser at that time than it is now, filled with immigrants who packed the streets. 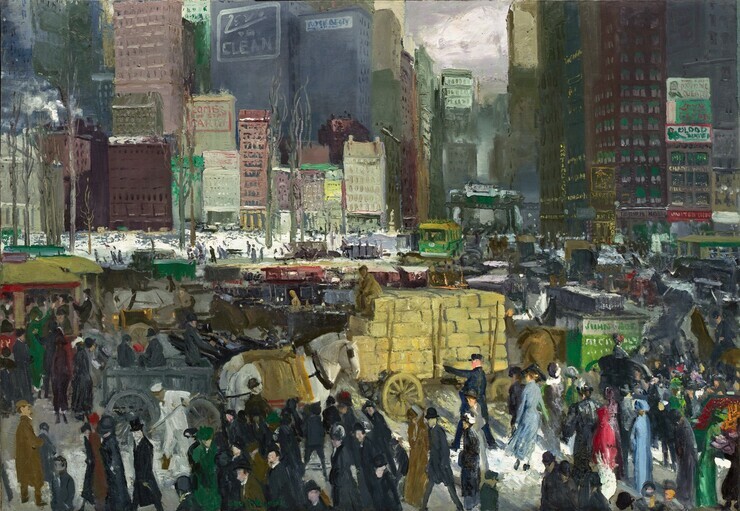 How did George Bellows show the energy and bustle of the city? Where do you think people might be going? How are they getting around? Imagine yourself standing in the middle of this scene. What might you hear? Smell? Feel? 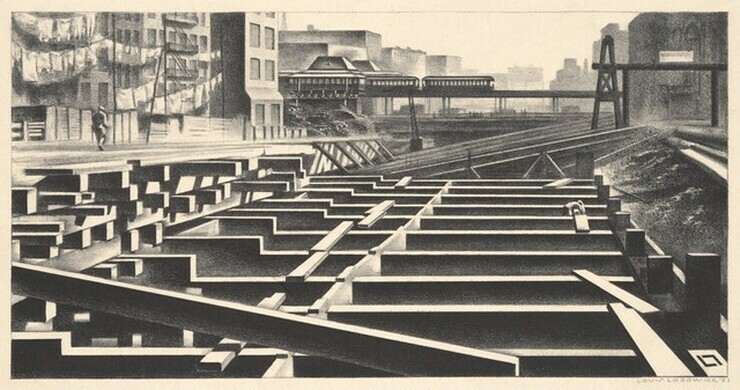 Louis Lozowick showed the New York subway under construction in 1931. Note the lines, shapes, and people. What kinds of skills and knowledge do you think the workers need to have? Look around your community and notice the infrastructure that makes it possible for you to move around easily. Where are there sidewalks, roads, railroad tracks, and more? 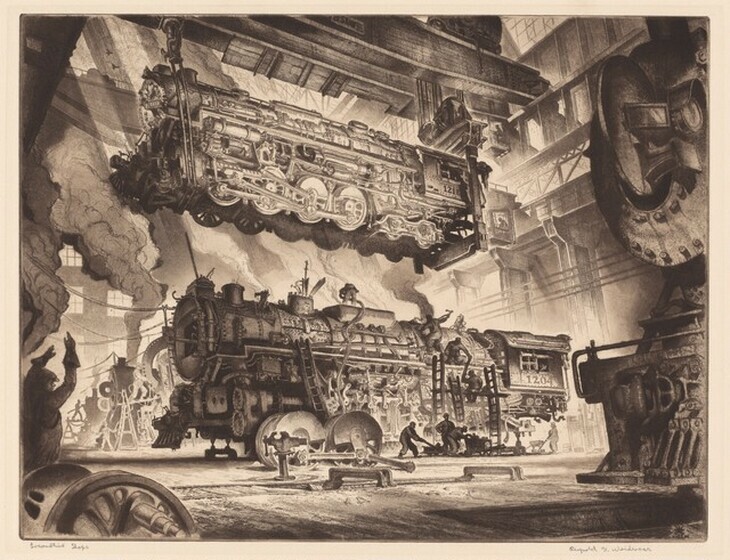 Reynold Weidenaar depicted locomotives being assembled in a factory. Note the lines, shapes, and people. What kinds of skills and knowledge do you think the workers need to have? Berenice Abbott loved taking photographs of the architecture of New York. 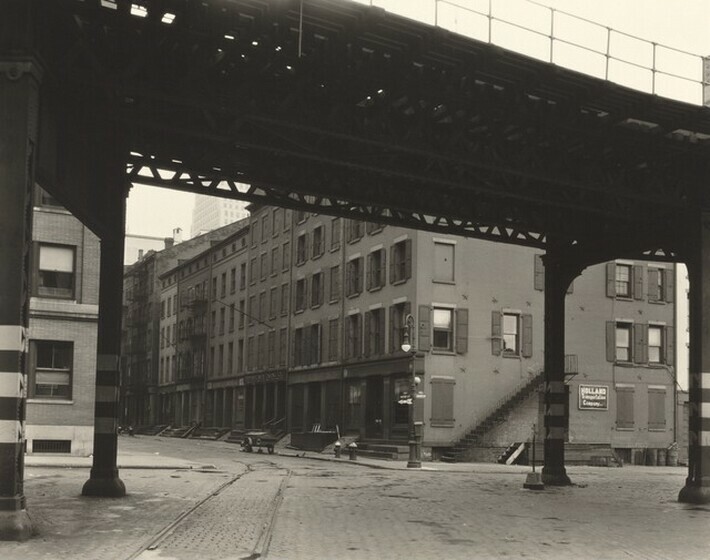 In this photo, she focused her camera on the dramatic and dynamic contrast between the elevated train track as it cuts in front of a block of buildings. What do you think attracted Abbott to this scene? What time of day do you think she photographed the train track? What other evidence of transportation can you find in the photograph? 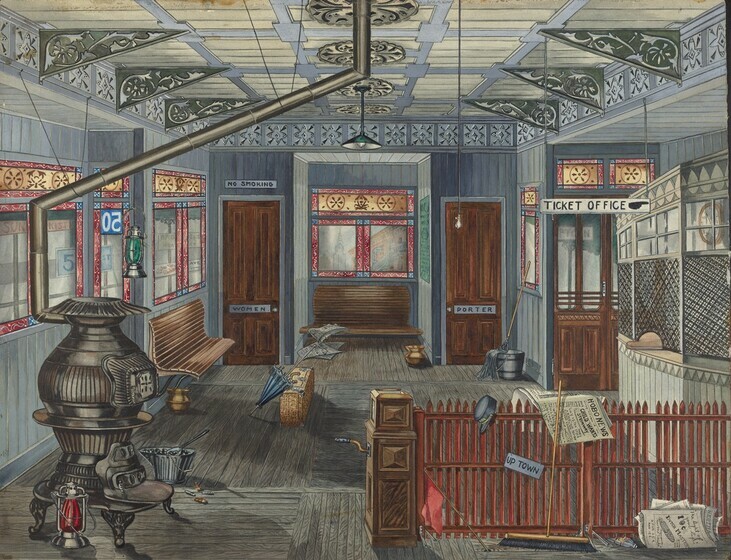 This el (short for “elevated”) station is one of dozens of interiors Perkins Harnly depicted during the Great Depression, when he was one of thousands of artists hired by the US government. Look closely at the details Harnly chose to include in his picture. What would life be like for the employees who work in this space? What can you learn about the passengers who move through this space? Would you like to wait here for your train? Why or why not? 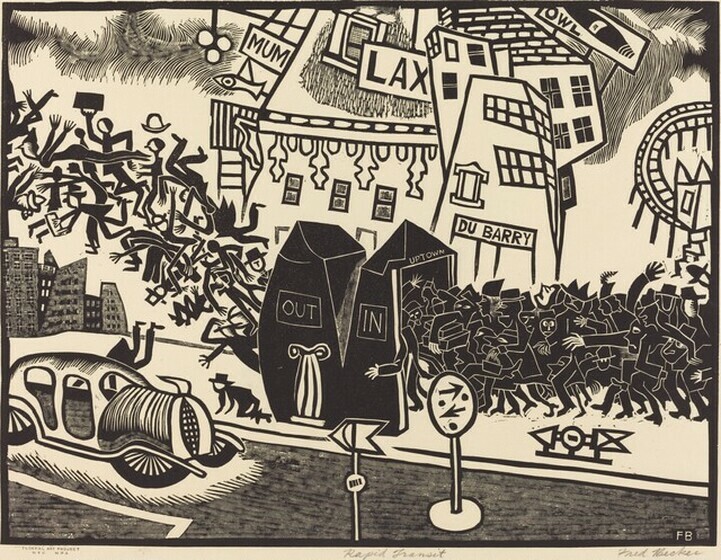 Fred Becker’s woodcut shows the frenetic masses of people entering and exiting the subway. How would you describe the group going in? How are they different after exiting? Have you ever felt like this when traveling? A blue pole on the right, a couple of loops in the center, some outlines of seats and windows—you have to look closely to realize this is a picture of public transportation. Jacob Lawrence was a masterful storyteller who is perhaps best known for his Migration Series—a collection of paintings made in 1940–1941 that depicts the Great Migration, when African Americans left the segregated South for better opportunities in the North and West. Lawrence made New York in Transit II in 1998, two years before he died. What stories can you find about the people of New York in this work? 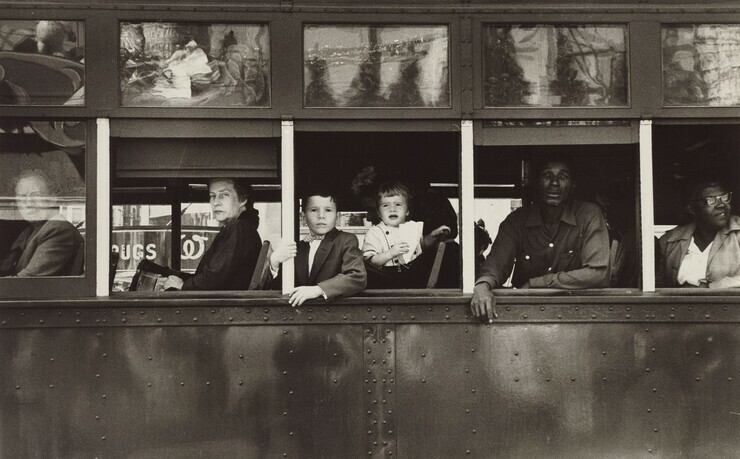 Swiss-born artist Robert Frank took this photograph in New Orleans while traveling all over the United States and documenting life as part of a project he eventually titled “The Americans.” He was especially interested in capturing images of discrimination, segregation, socioeconomic status, and poverty. Take note of the patterns and repetition in Trolley—New Orleans. Then look closely at the people framed in the windows. What facial expressions do you see? What reactions do you have to the individuals? Ellen Lanyon was known for creating fanciful works that combined realistic elements with fantastical, or magical, elements. Do you think the “ostricart” could exist in real life? 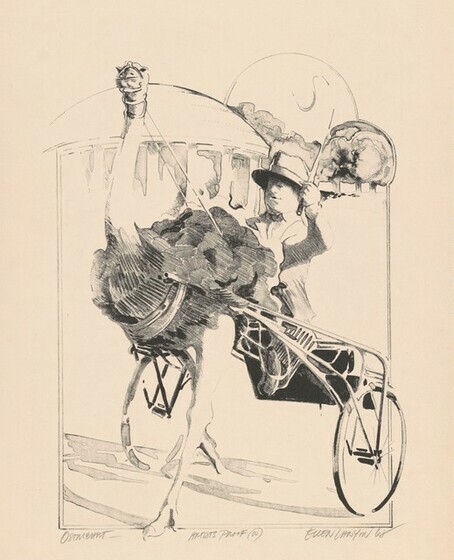 If so, how fast do you think this “ostricart” could go? 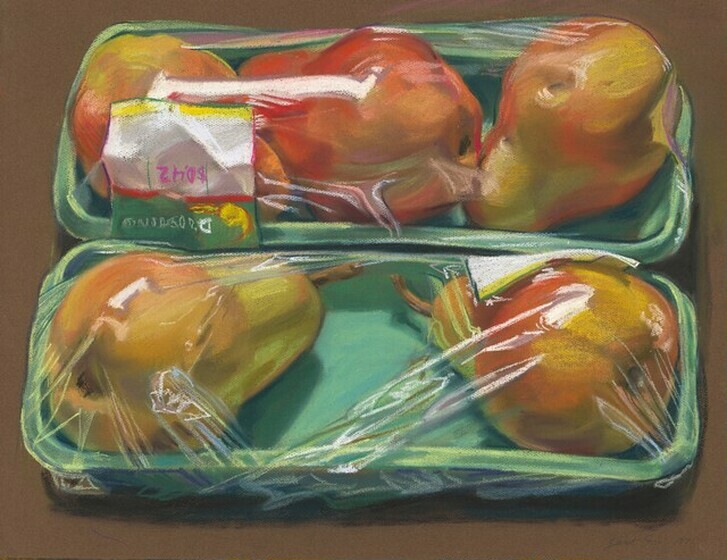 Wayne Thiebaud has lived most of his life in California, where cars, freeways, and traffic are ever present. 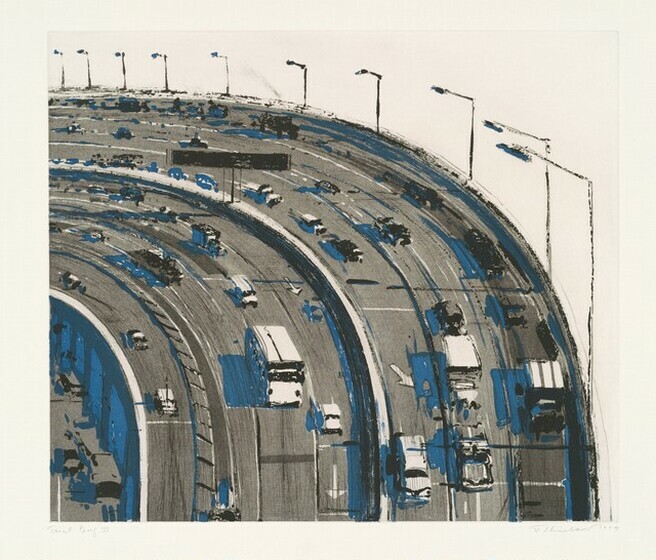 In this print, we look down on the freeway curve from high up above. What kinds of vehicles can you identify? Where might they be going, and what might they be carrying? 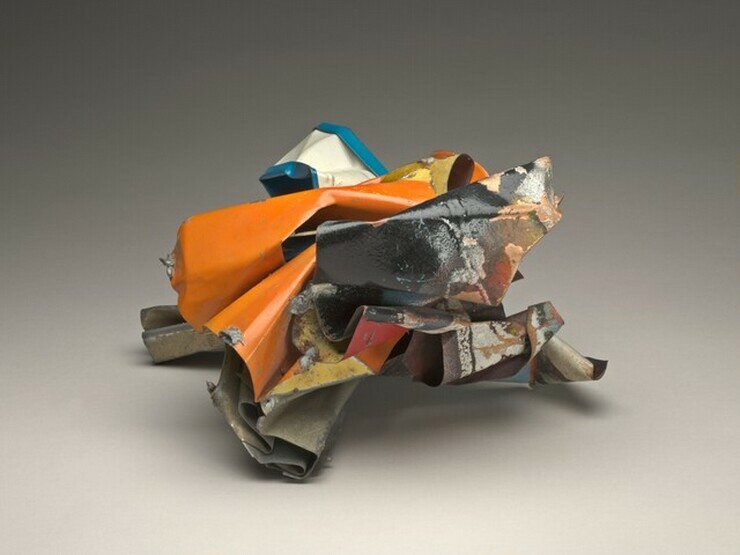 John Chamberlain was keenly interested in color and structure. He realized both of these qualities could be found in discarded or junked car parts, which he welded together to create abstracted sculptures. What do you wonder about the process of making these sculptures? What thoughts do you have about cars and car parts after looking at this sculpture? 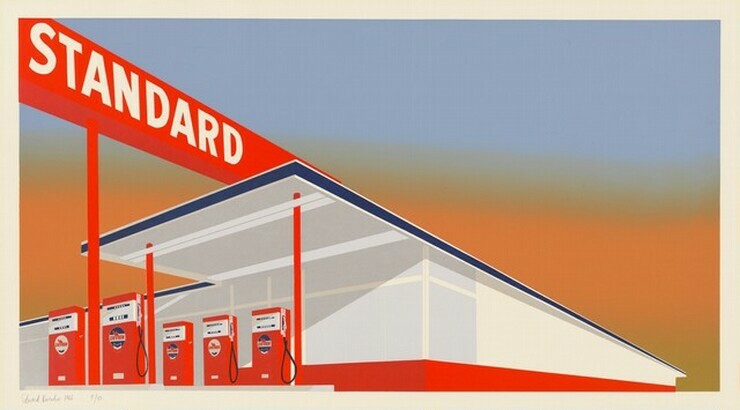 Ed Ruscha first spotted the subject of this print in 1962. He took a photograph of a Standard gas station while driving on Route 66, an iconic US highway, between Los Angeles and Oklahoma City. In the painted and printed versions he later made, Ruscha cropped the image and stripped away nonessential elements, leaving a simplified, boldly colored composition. If this gas station were a symbol for the United States, what do you think it would say about the country? 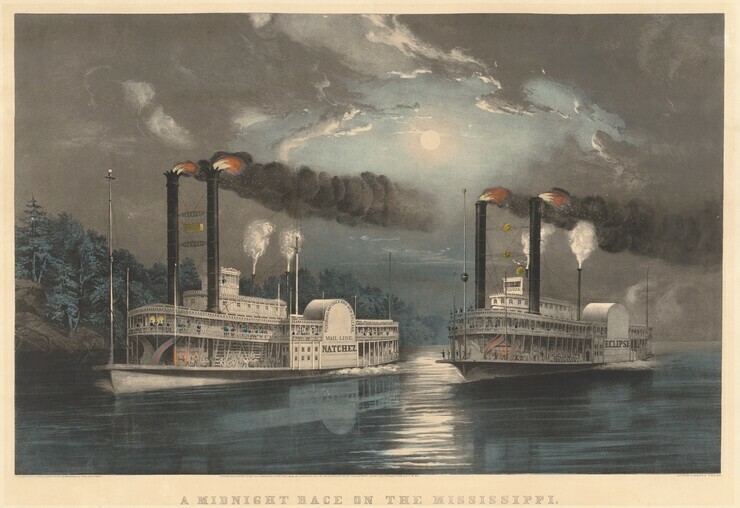 Steamboat races were extremely popular during the 19th century, but they were also dangerous—especially at night. Boiler explosions, obstacles in the river, and attacks all threatened ships. Steamboats were powered by paddle wheels on the sides of the ship. In this image, the wheels are hidden behind covers that display the names of the ships. Would you risk traveling on a racing steamboat at night? New Bedford, Massachusetts, was the center of the whaling industry in the 19th century in the United States. Walker Evans visited New Bedford in 1931, just a few years after the last whaling ship departed from the port. 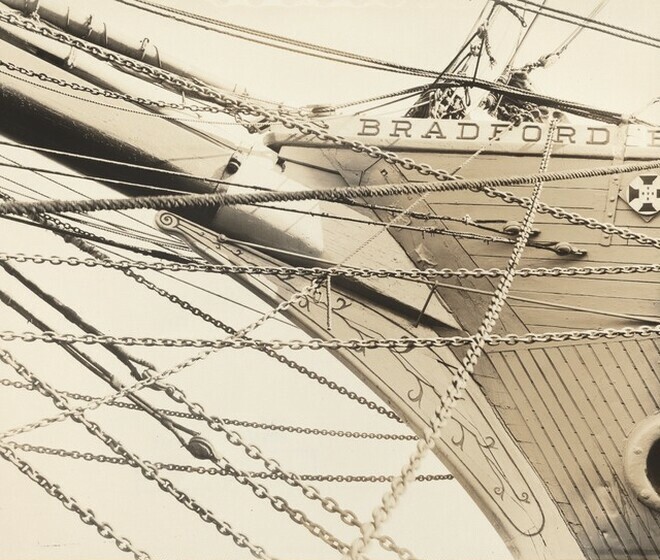 His photograph shows a perspective of a ship we don’t usually see—peering up at the bow of the four-masted Bradford E. Jones through a variety of riggings. What can you learn about the ship from Evans’s photograph? 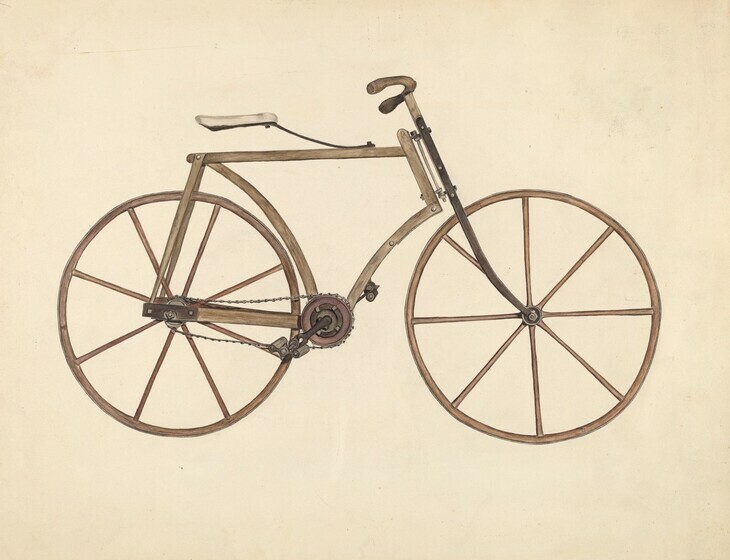 This depiction of a bicycle is from the Index of American Design, a government-supported project that offered work relief to artists during the Great Depression. Artists from across the country produced more than 18,000 watercolor renderings of folk, popular, and decorative art for the Index. 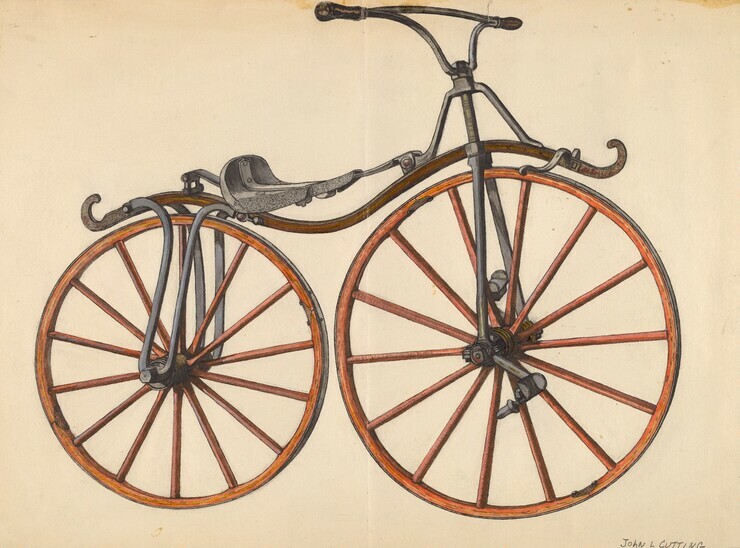 Look closely at this watercolor and the other two images of bicycles. 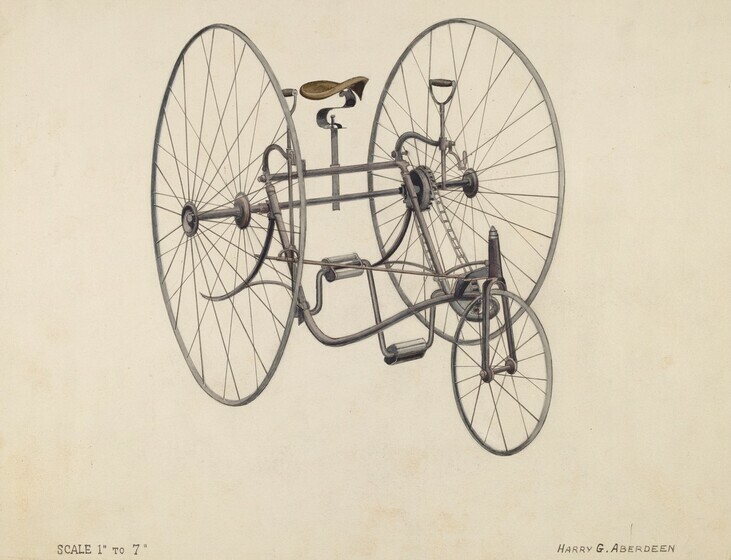 How are the depicted bicycles similar? How are they different? Imagine trying to ride them. How would it feel? Do you think it would be easy to ride them? 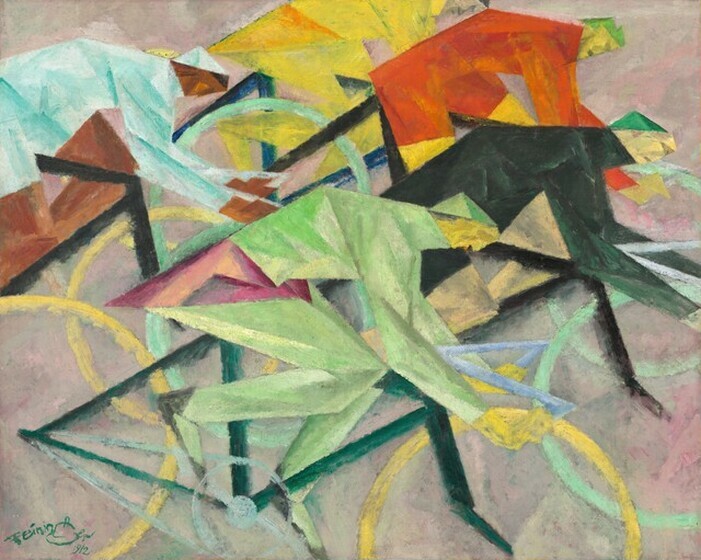 Elizabeth Olds and Lyonel Feininger both chose to depict bicycle races, but these two works of art look very different. 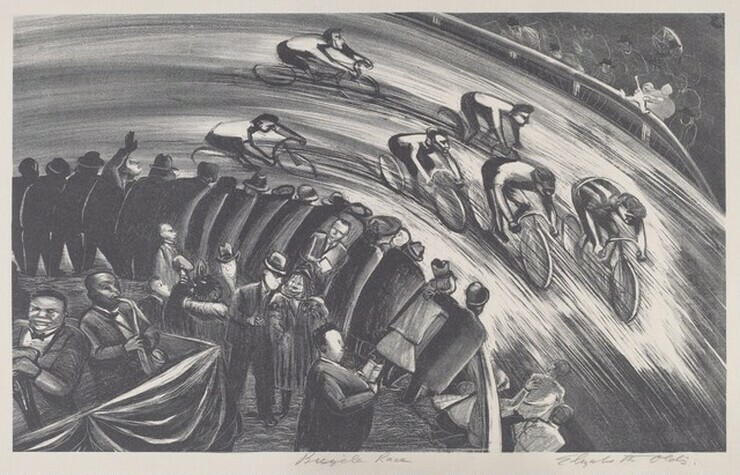 From what perspective are the artists looking at the races? What colors, shapes, and lines do you see in each picture? What details did each artist choose to include, and what did they leave out? How do you know the racers are moving fast? Neil Jenney paired two fighter jets, one Soviet and one from the US, in this painting titled Them and Us. Compare these two fighter jets. How are they similar, and how are they different? Why do you think they might be shown flying together? 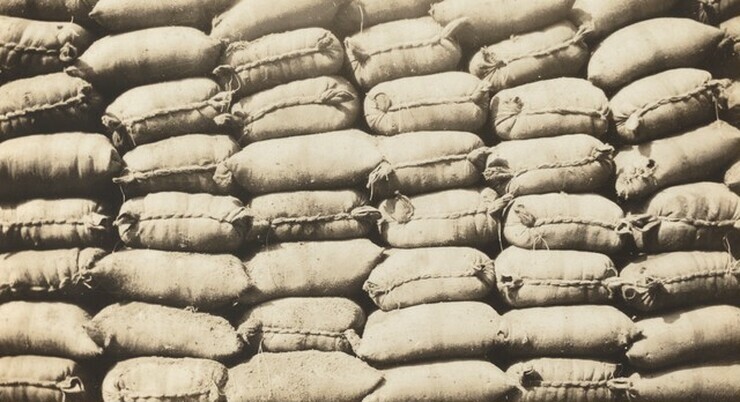 International trade has been a part of the United States since the country’s beginning. How do you think these goods traveled to their final destination? 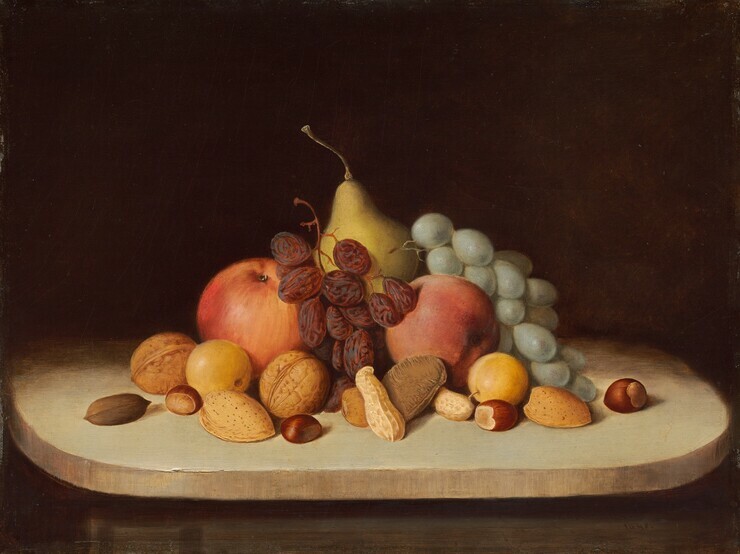 Why do you think the artist created this work of art depicting common goods? What might have attracted the artist to this subject? Show your students a map to prompt their thinking about the distances that goods travel. 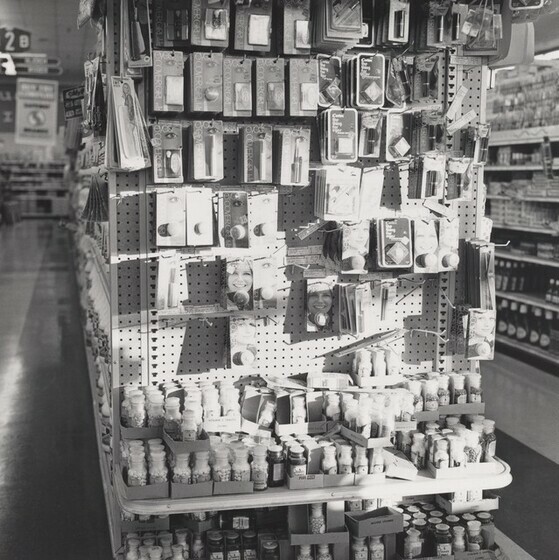 “Todd’s Grocery” was a real grocery store in Georgetown, Maine. It also served as the town’s post office in the 1930s. During the winter, a horse-drawn sled was used to deliver mail. 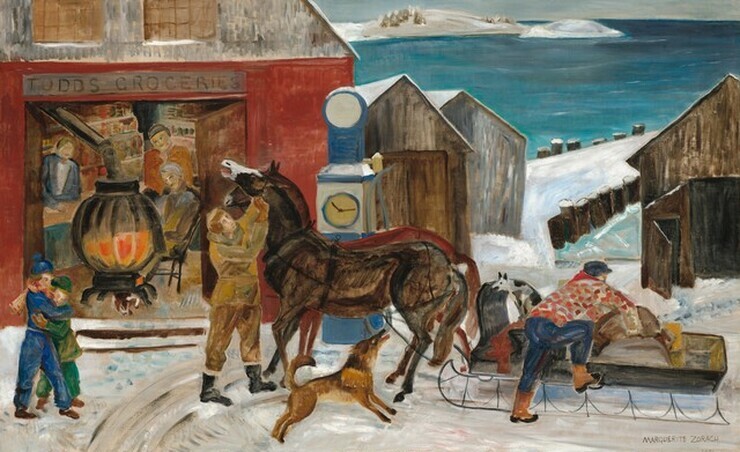 Marguerite Zorach made this painting as a study for a larger mural that is now installed in a post office in Peterborough, New Hampshire. How do you imagine residents traveled to the grocery store during snowy conditions in the 1930s?